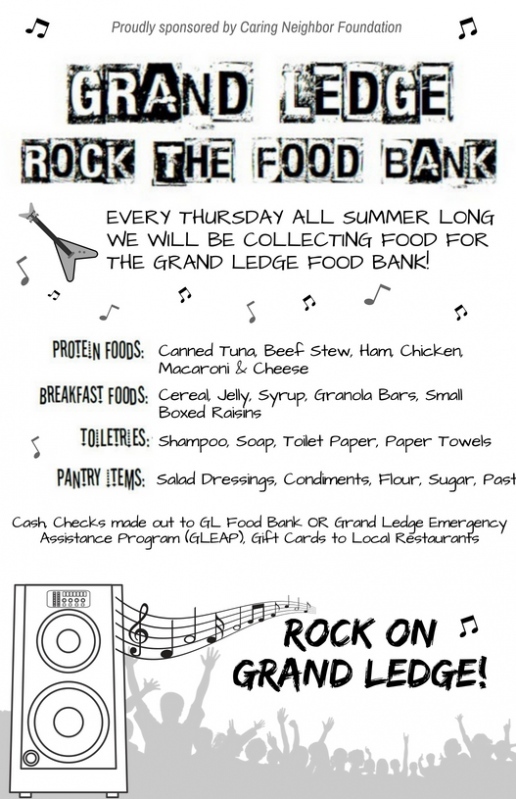 Join the Chamber, LCC Radio 89.7 FM WLNZ, and the City of Grand Ledge! $3500 Fireworks sponsor for the last night of Music in the Park Concert Series Thursday August 29th. Company logo on digital billboard, social media, advertisements and announcements made throughout evening. $2500 Presenting sponsor for the 13-week event. Company logo will be prominent on the event poster as well as on the chamber website, enewsletter, Facebook, banner hung at Jaycee Park throughout the entire concert series summer and a yard sign during the weekly event. Announcements will be made during each concert. Sponsor will be offered outreach opportunities each week. $1000 Platinum sponsor for the 13-week event. 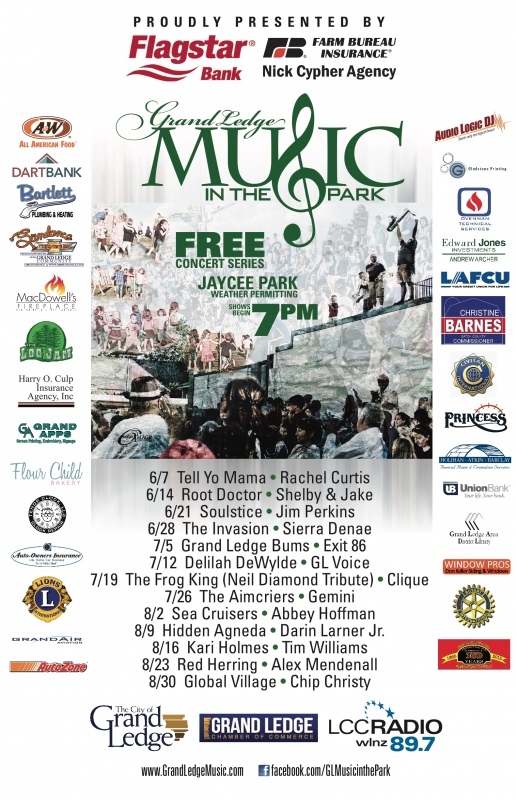 Company logo on the event poster, chamber website, enewsletter, Facebook, banner hung at Jaycee Park throughout the summer concert series and a yard sign during the weekly event. Announcements made during each concert. Sponsor will be offered outreach opportunities each week. $500 Gold Sponsor for the 13-week event. Company logo on the chamber website, enewsletter, Facebook, and on a yard sign during the weekly event. Announcements made during each concert.